Available in 12” and 15” powered and passive versions, ZLX makes it easier than ever to own and experience premium professional audio. Its combination of streamlined industrial design, compact size, user-friendly operation and portability, and plentiful power have made it a great value choice for monitors and mains in DJ/musician applications such as practice spaces and small clubs, and perfect for basic installations and portable multi-purpose sound. * Bluetooth® is available in select countries. The Bluetooth® word mark and logos are registered trademarks owned by Bluetooth SIG, Inc. and any use of such marks by Bosch Security Systems, Inc. is under license. Other trademarks and trade names are those of their respective owners. © 2018 Bosch Security Systems, Inc.
High customer satisfaction and product reliability are key to Streamline Systems’ reliance on Electro-Voice EV loudspeakers for nightclub, restaurant and casino installations throughout the Caribbean.With six distinct dispersion patterns, EVF-D full-range speakers from the Electro-Voice EV-Innovation family supply the same superb sound and high output across a wide variety of venues shapes and system designs.Streamline Systems uses. 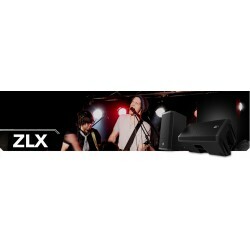 ZLX-12BT12" Powered Loudspeaker with Bluetooth® Audio*High‑quality Bluetooth® audio stream..
ZLX-12P 12" Powered Loudspeaker1000 W (Class D); 126 dB max SPL; 50 Hz – 20 kHz12” woofer and 1.5” h..
ZLX-15BT15" Powered Loudspeaker with Bluetooth® Audio*High‑quality Bluetooth® audio s..
ZLX-15P15" Powered Loudspeaker1000 W (Class D); 127 dB max SPL; 42 Hz – 20 kHz15” woofer and 1.5” hi..
ZLX-1212" Passive Loudspeaker12” woofer for low-end punch in a compact enclosure and 1.5” high-frequ..
ZLX-1515" Passive Loudspeaker15” woofer for extended low-frequency response and 1.5” high-frequency ..